Sean T. Flanagan is the Vice President of Development & Acquisitions at HSA Commercial Real Estate. 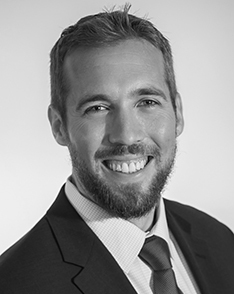 In his role, Sean is responsible for identifying and analyzing potential investment and development opportunities for the firm throughout the country with a specific focus on Colorado. Since joining the HSA team in 2012, Sean has served in numerous roles at HSA Commercial including: Process Improvement Specialist, Property Accountant, Development Accountant, and Acquisition / Development Analyst. In his time at the company, Sean has actively been involved in the development process of over 3.5 million square feet of medical, retail, and Industrial buildings spread across six states. This includes the Mayfair Collection mixed-use project in Wauwatosa, WI, the Drexel Town Square Health Center in Oak Creek, WI, and multiple industrial office park projects. Flanagan is an actively licensed Certified Public Accountant in the State of Illinois.